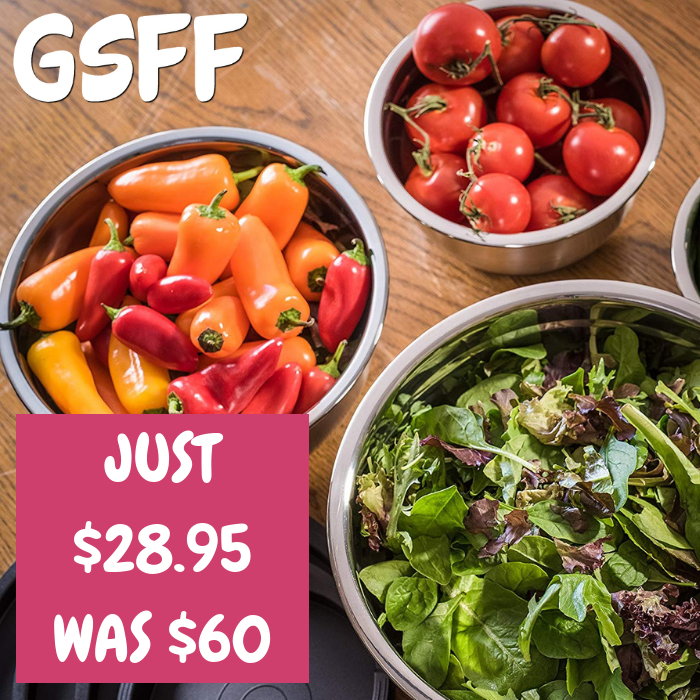 Bellemain 4-Piece Mixing Bowls Just $28.95! Down From $60! Shipped! You are here: Home / Great Deals / Amazon Deals / Bellemain 4-Piece Mixing Bowls Just $28.95! Down From $60! Shipped! Amazon has this Bellemain 4-Piece Mixing Bowls on sale for just $28.95 down from $59.95 PLUS FREE shipping! BELLEMAIN EXCELLENCE AND HIGH QUALITY STAINLESS STEEL: Your Bellemain Mixing Bowls can go from the freezer to oven to dshwasher without a problem. They’ll last a lifetime and will never rust. THE MIXING BOWLS THAT MEASURE FOR YOU: The Bellemain difference means mixing bowls are never just mixing bowls – these double as measuring cups so you never wonder how much is in the bowl.